A gift for any occasion! Birthdays, holidays – any time of year. Everyone wants a drone! This drone wont disappoint. Ultra Drone with One Touch Take Off! New features drop the threshold of skills needed for drones to ANYONE WHO WANTS TO FLY. Hover-ready and Throw to Fly capable, this drone will make anybody an expert drone pilot in minutes. 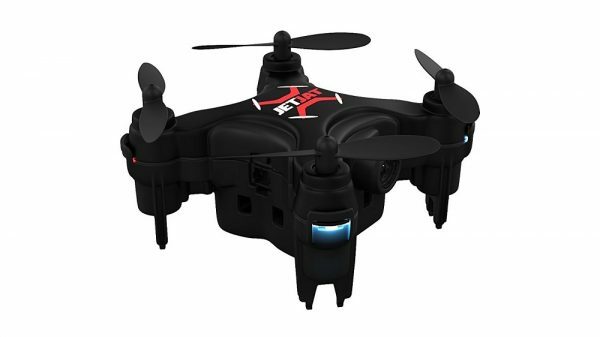 Let your friends try the newest toy drone out there, or even let Grandma fly it around the house. We wanted to give every person the opportunity to experience drone flight at its best, and we have succeeded with JETJAT ULTRA. World’s easiest Drone to fly: experience first Class Flight with auto Landing, takeoff and Hover with the push of a button. Smartphone compatible, snap pics and video, save it right to your device. Pro Drone pilot in minutes – with our auto pilot features, we have provide a unique opportunity to hone your skills to expert level status, to everyone. Just lift off and soar to ultra heights. Flying a Drone never felt so good! can Hovers on its own, controller Grips adjust for a natural feel and intuitive control. Great for indoors and out, record Everlasting memories easier than ever. Flying is believing – the possibilities are endless with a Drone of this caliber – fun for hikes, beach parties, or even taking selfies, everywhere. Don’t take our word for it, fly it for yourself!